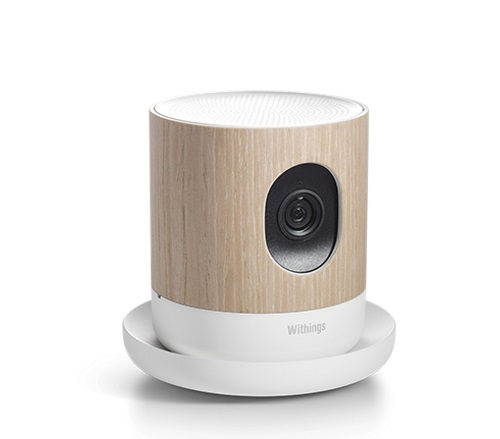 Withings, creator of wireless smart devices centered around health, has an interesting HD camera called Home for use in, well, your home. On the surface the design is a little more appealing then most home automation cameras we find on the market today with a wood grain finish, but it has a few extra features not common in your run-of-the-mill home-monitoring. For starters, its got a 5 megapixel HD camera that can record video and take still pictures, and connects via WiFi to be viewed through a mobile app. It also has motion and noise sensors and will send a short video of the current happenings to a server in the cloud when these events occur. So, not too far off of the standard yet. Some German engineers have revealed designs for 3D printing a “bump key” that they say can be used to break into common tumbler style locks. According to the engineers, using nothing but a photo of the lock and some software called Photobump, a working key can be created. Bump keys are not anything really new, but the ability to produce a lock-specific bump key through 3D printing from a picture of a lock, well that’s pretty new. A bump key basically uses some force and some jarring of the lock to move the small pins in the tumbler into the correct position so that the lock will turn. We have all been to the beach with our bag of precious things; cell phone, camera, purse, wallet. And we worry about these “things” getting ripped off by someone while we are laying there basking in the sun or out in the water. Bring on the Beach Vault. The Vault is a container that looks like that of a screw, which is actually very important to the functionality of this product. You don’t have to dig a hole, all you do is turn the Vault into the sand and it buries itself. You remove the lid and you can store all of your valuables inside. It is large enough to hold a tablet, two wallets, cell phones, keys and you will still have room left over. And not only that, the Vault is water tight. We are sure all of you have seen the episode of the Big Bang Theory where Sheldon, Leonard, Raj and Howard send the internet signal around the world to turn on the lamp in their apartment, right? And when Penny asks “Why?” the answer is simple “Because we can.” Duh. 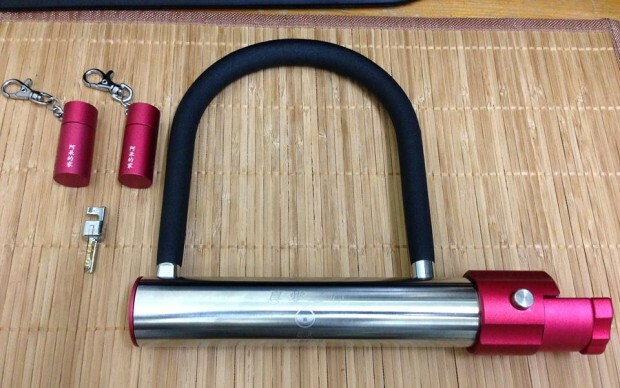 Securing your bike is always a challenge and a good bike lock is an important part. One of the challenges with key-based locks is of course someone just picking the lock. 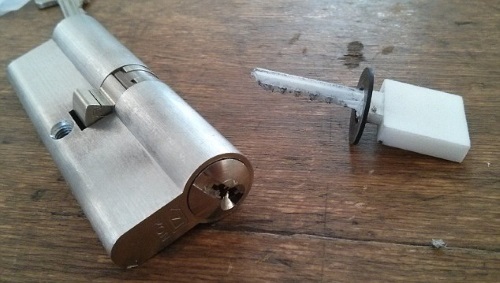 An inventor here claims to have created an un-pickable lock since the key chamber is simply not exposed. Just opening the lock is fairly complicated and we suggest just watching the video. The Password Vault stores and secures account information for website addresses, usernames, passwords, and ATM PINs, and allows immediate retrieval when you need them. Your passwords are safely stored offline in the vault’s memory, ensuring that the information can never be compromised. It can store up to 400 account records. Sounds much safer than leaving passwords on notes around the house. 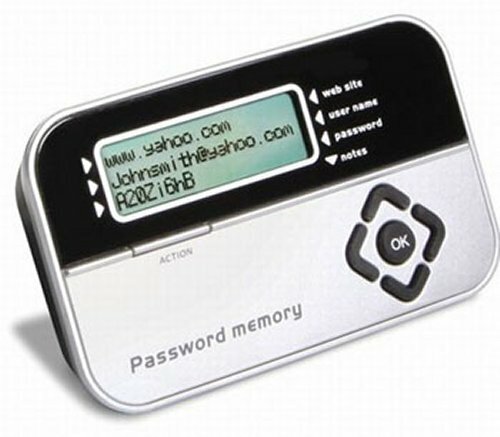 The Password Vault holds all of your secret information behind its own password. And if the device is misplaced, lost, or stolen, five unsuccessful attempts to access your accounts will lock the device for 30 minutes. You can also reset it to erase all of your secret data. Are you doing stuff that you shouldn’t be doing? If so, then you probably don’t want to get caught doing that stuff. We don’t want to know. But the Ghost Pigeon can help you keep things on the down low. It’s a piece of cloaking software that masks all incoming and outgoing calls and text messages on your handset so people can’t examine your phone and discover who you’ve been in contact with or even when. It’s not all shady stuff. It’s likely useful for employees searching or interviewing for a new job on their company phone, or for CEOs negotiating a golden handshake and stuff like that. I mean, not everybody is a drug dealer or a smuggler etc. 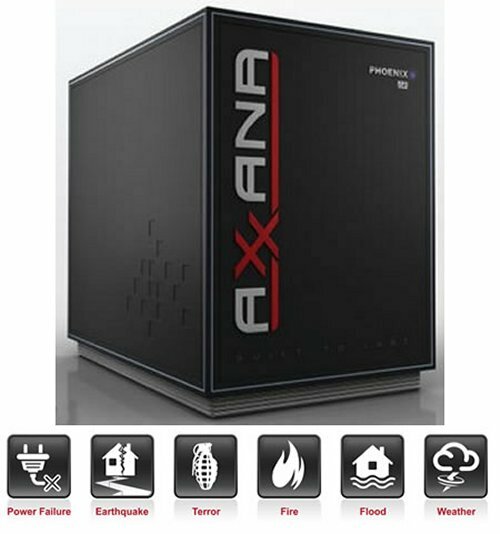 The Axxana Phoenix is a solid state flash memory disk array that backs up and stores your important data with no need of remote transfer. It claims to be the toughest data recorder in the world. 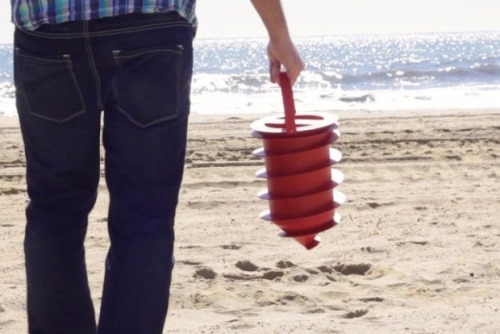 It can withstand earthquake grade shocks of up to 40G and 5000 pounds of pressure. It can stand up to extreme temperatures as well. It can survive 2000 degrees F for one hour followed by 450 F for another 6 hours. How about the ability to withstand 30 feet of water pressure and a piercing from a 500 pound rod dropped from 10 feet. Now that’s tough. If you’re paranoid about your credit card info while shopping online, (And who isn’t?) it just got a little safer thanks to the SmartSwipe credit card reader. You might think you’re safe online as long as that padlock icon is displayed in your browser. And you are pretty safe, but not completely, hackers can still access your personal information while it is being entered into your computer and while it is still in memory. 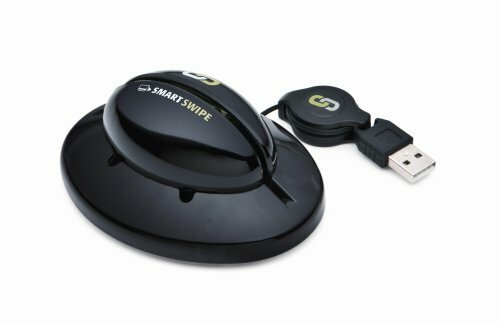 With this SmartSwipe card reader your info is safe becaue your card information is never stored on your computer. The device uses Dynamic SSL technology and the same level of encryption used in bank machines and ATMs. 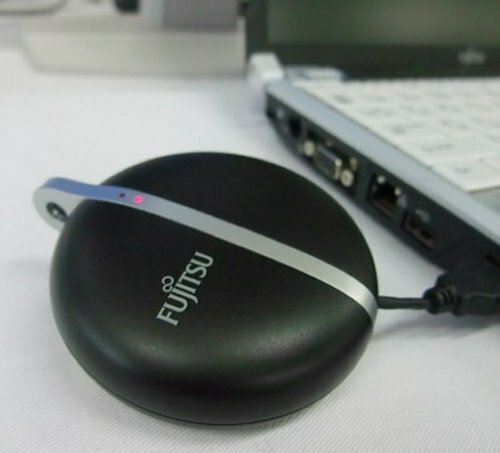 If you want to make sure that your personal information is protected, check out the latest from Fujitsu. The Secure USB Memory Device makes absolutely sure your data is secure. If you transport a lot of information from computer to computer it will be very useful. Think of it as a thumb drive with a battery and a processor built in. You can adjust the security settings on the drive so that data will be automatically deleted after a certain period of time. Whatever you decide. Or if someone else tries t use it on another computer. There’s a lot to be paranoid about these days. UFOs are abducting humans and cows at an alarming rate. The near collapse of our nation’s banking system. Bigfoot. Shadow governments. The Illuminati. E-coli. North Korea. Bird flu. Grocery store muzak. Falling satellites. Nuclear weapons. Just to name a few. I don’t have to tell you what it all means. It means that it’s time to start shoving stuff under your mattress. Money. Guns. Medicine. Powdered food rations. Maybe a back-up gaming console. Everyone knows that under the mattress is the most secure place for all your stuff. You sleep there don’t you? You’ll be safe as long as you have your stash of important stuff. At first glance the Echo Bot Voice Messenger looks like a webcam. It isn’t and it is designed to fool people in just that way. It’s really a motion detector that will guard your desk or cubicle from others who might intrude. 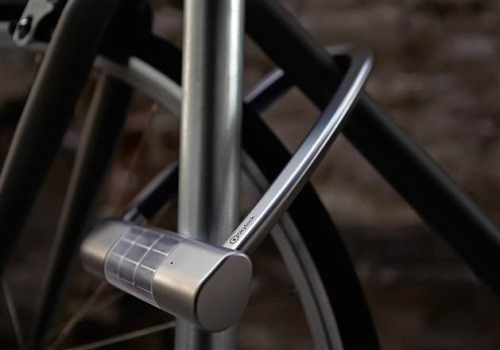 The idea is that you record messages that are triggered by the motion detector. 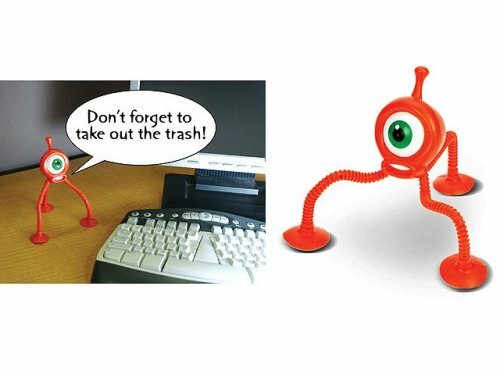 Just record your message,(We would advise something nasty and filled with some particularly colorful metaphors about respecting your stuff) then let the motion detector do it’s thing. If your co-worker invades your space they are going to get a nasty surprise. 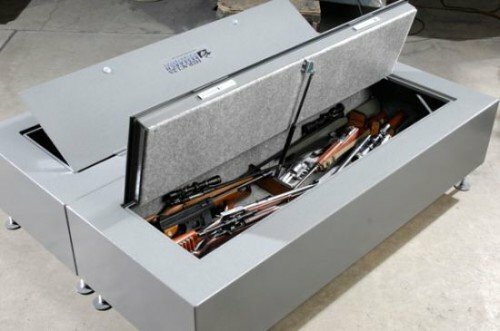 If you absolutely have to put your valuables in a safe, you’ll want something like this. SentrySafes are both waterproof and fireproof. Great for important paper files and jewelry, or important data regarding the Death Star plans or something. This one also has the added benefit of having a USB slot so that you can access files within the safe, while keeping said files…safe. 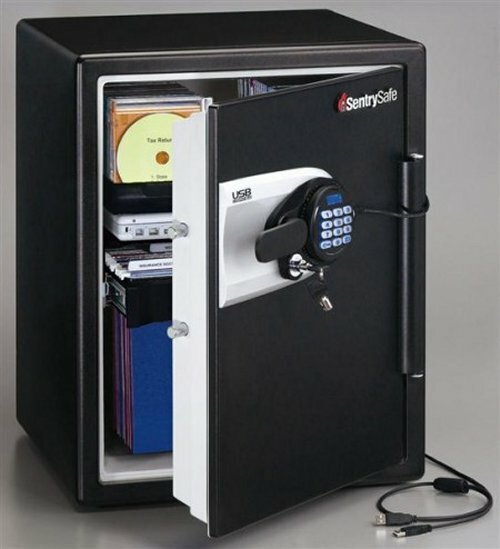 You can purchase this USB safe for about $1800. For that much dough, I want some assurance that the thief can’t just carry the safe itself off. This latest Arduino project turns it into a twitter home security system of sorts. The Arduino is used to monitor a home burglar alarm and send out status messages should the status change: Like when the alarm was activated or shut off, error messages, or just when the alarm actually sounds because you are being robbed. The Arduino’s digital IO pins are wired up to the alarm’s output signals. 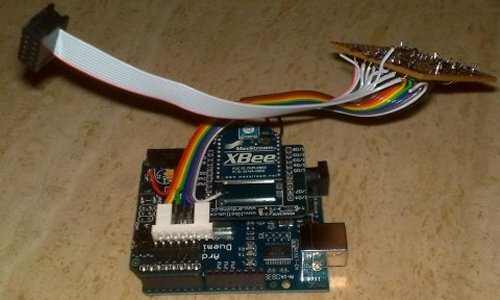 An XBee wireless module was added, because the alarm control panel is some distance away from the ethernet hook-up, and a simple Linux server (with the USB XBee receiver) monitors any changes and sends the Twitter messages. @alarmdude By the time help gets here I’m gone. Left the zune on your desk.